Chemical Guys Paint Reconditioning Seminar features techniques that will help you to take your business to the next level. During this seminar our associate professionals will share with you over 20 years of knowledge in the field of paint restoration. 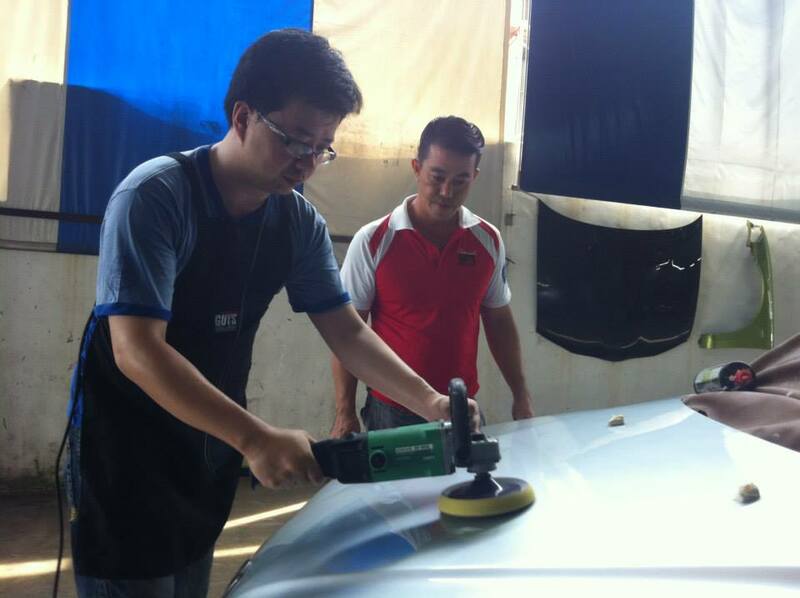 Supwave Automobile introduces smartdetailing our new and fast-paced 8-hours seminar per day for professionals in the Auto Detailing industry. Smartdetailing- is a smarter more successful way of detailing "smart" and increasing profits through knowledge and education. Supwave Automobile hands-on Paint Reconditioning Seminar features techniques that will help you to take your business to the next level. During this seminar our associate professionals will share with you over 10 years of knowledge in the field of paint restoration. Smart detailing seminars are interactive and highly informative hands-on trainings geared towards teaching business professionals, established detailers and new-comers the tips and tricks of the professionals, marketing and business-building skills, and the secrets to owning and operating a highly profitable and successful detailing business. See live sales and application demos, get to try the latest Chemical guys & other Products and pads while you get all your questions answered in this exciting seminar you can’t miss! Don't miss this fast-paced straight to the point of success smart-detailing seminar hosted by Supwave the leader in auto detailing in Malaysia. What's covered during the seminar? Success taught by people who succeeded! What would you like to learn? Small class sizes assure that every ones questions are answered and the maximum amount of information is covered during the seminar. The class as a whole will vote on what exactly they wound like to learn during the seminar. Marketing tips and tricks that grow business fast. 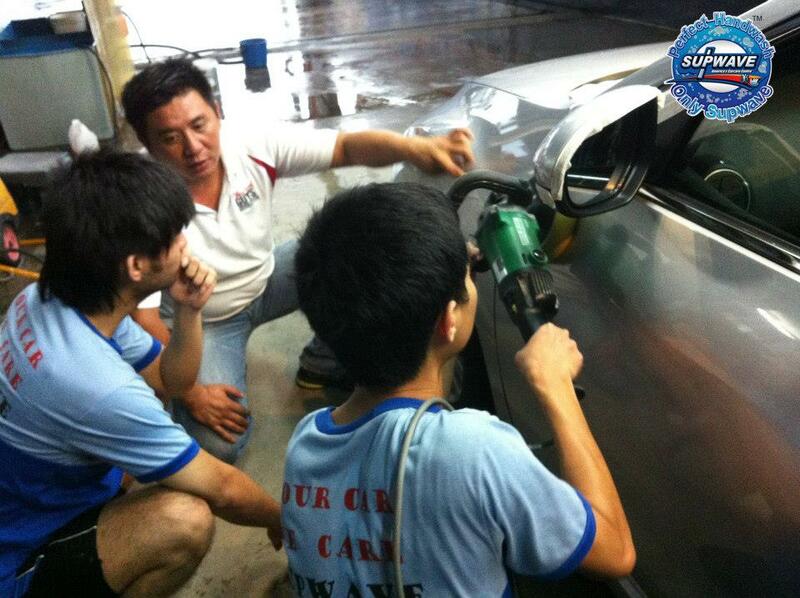 Trainers: All Supwave Smart detailing Seminars are thought by actual business professional working in the field. Who better to learn how to succeed from then actual professional detailers. Our professional detailing trainers have over 10 YEARS of combined detailing experience in the field of detailing and running successful car wash businesses. Supwave Automobile Seminars are not taught by paid employees or teachers, they are thought by actual business professionals that use and apply techniques taught during the seminar every day as part of very successful businesses. These educators are actually successful business professionals with proven track records of running and managing detailing and auto-recondition business for 15-30 years. Learn from real professionals about detailing and running a business. Grow yours skills and your business with this fast paced hands-on seminar where you learn more then the professional basics, high margin add-on services that increase income and expand your reconditioning business to new levels. 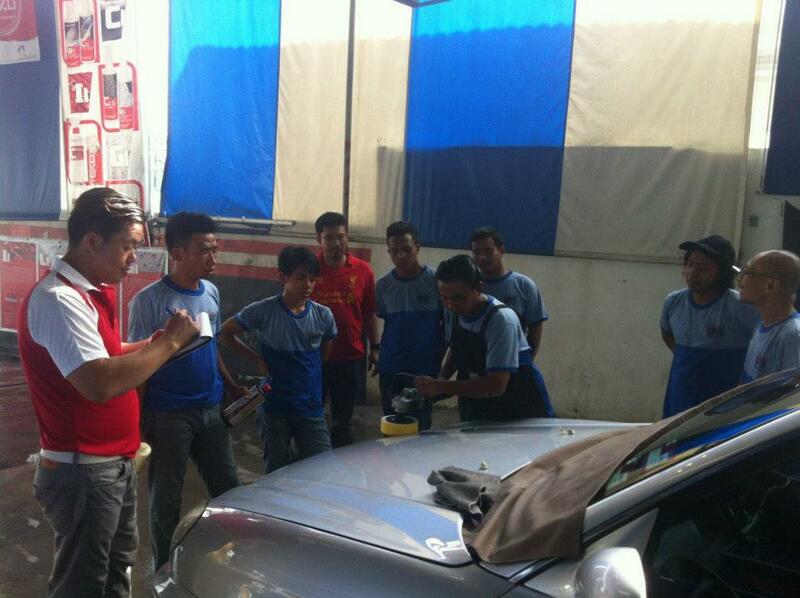 Learn valuable information about owning and operating a professional detailing business. Thinking about starting your own detailing business? Are you looking to excel in your detailing skills? Are you interested in expanding your current business by offering detailing as a service at your location? Are you considering a new successful profession or just wondering if detailing is for you? If you or someone you know is new to auto detailing, interested in getting started in the industry, looking to learn how to personally detail cars, boats and RV's, looking to increase income drastically by staring to detail on the side or even full time, for just looking to take your hobby to the next level.....this seminar is a must.